The SRPC's Annual Rural and Remote Medicine Conference: a resident's perspective! 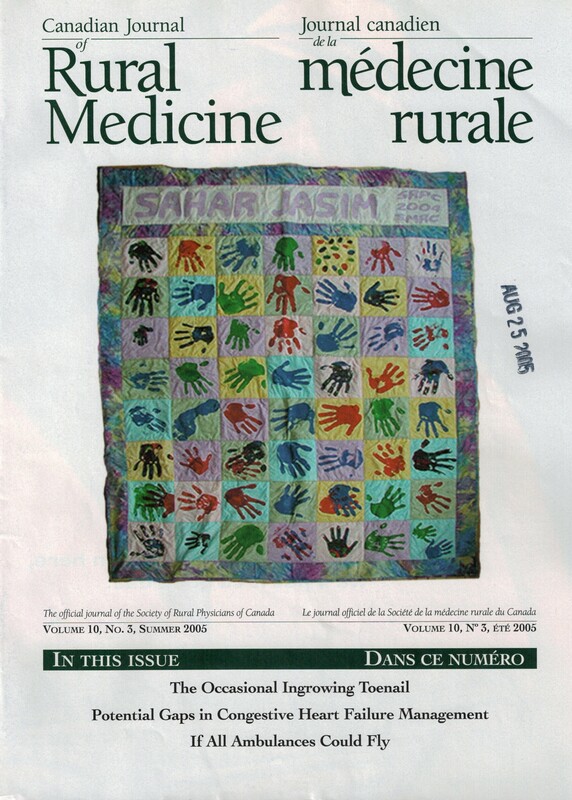 This quilt was hand printed by members of the SRPC to raise money for Sahar Jasim to undergo surgery for her club foot. The fundraiser contributed to allowing Ms. Jasim, a young girl from Iraq, to travel to Montréal with her Aunt this Spring to undergo a successful operation. For more info on Sahar Jasim and the quilt, please see page 139.